On Sunday, the French National Championships were also held in France. Sixteen athletes at the start. Only three athletes at the start including Yohann Diniz (FRA). Present in Epinal to test, after almost a year without competing, the world champion in 2017 recalled that he will still have a say in Doha in September, if he will be in full possession of his shape. He then increased his pace to finish with a good speed and with a last km in 3:57 with a time of 2:29:28. This performance puts him at the top of the seasonal world list over the distance of 35km, detaching from 1:25 Dementiy Cheparev (RUS) who in Sochi had been able on Feb. 18, 2019 of 2:31:03. Even in this race only three athletes at the start. Fourty-one athletes at the start in this race that would visit especially on the fight between Gabriel Bordier and Kevin Campion. So it was. Victory for Gabriel Bordier (FRA) in 1:21:55 with the new personal best (previous 1:22:15 obtained in La Coruna on June 2, 2018) which also lowers France's U23 record by 20”. 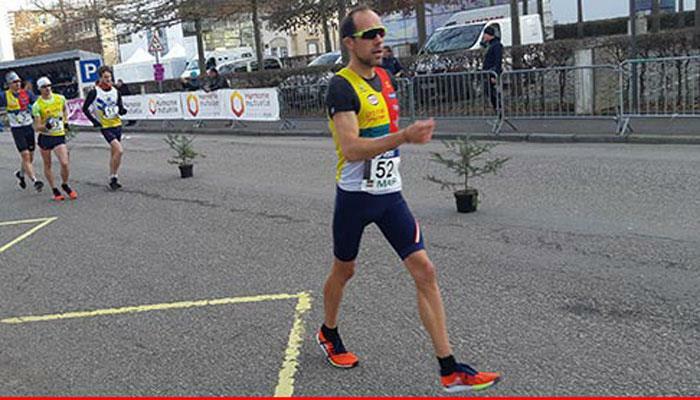 "I came to Epinal to do a time around 1:23:00 and instead I did for the first time less than 1:22:00. This is a big step towards the U23 European Championships to be held in Gavle in Sweden ”. At 5km Bordier was leading the race with Kevin Campion (20:20), but later the latter forced and cut him off by about seventy meters. In the final part of the race Bordier progressively returned and in the last 1,500m he forced the pace to go on to win. Forty-three athletes at the start, who saw the wind a little less, but an annoying rain to be a companion for the athletes. So it's a bit complicated to perform well.